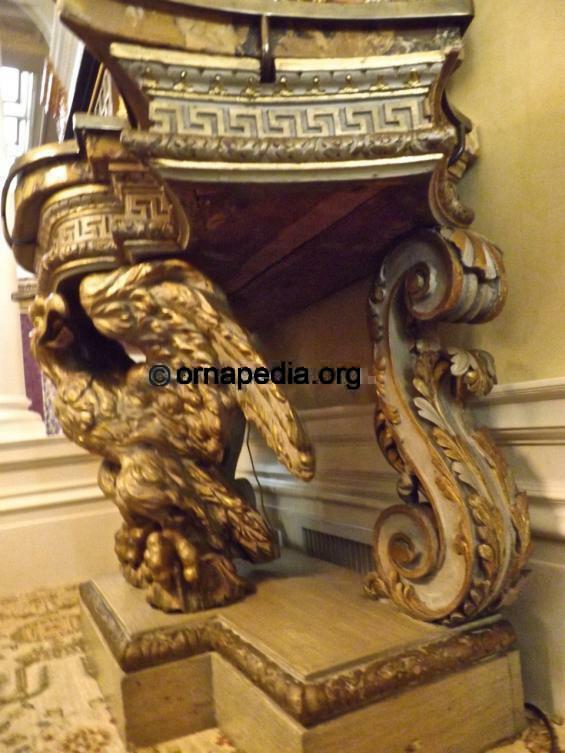 British 18th Century console table with eagle - gilt - detail of side view - Ornapedia SFG jpg. Description: British 18th Century console table, detailed with an eagle and acanthus sides. Gilt finish. Read more about 18th Century console table.